Here are some samples of on-hold messages we’ve created for U.S. truck transportation firms. Oak Harbor Freight is proud of its well-maintained, state-of-the-art fleet enviable safety and damage-free handling record. Plus our friendly service associates that are knowledgeable transportation professionals committed to your satisfaction. Parrish Trucking expertly moves products into and out of the Saint Louis area with a wide-ranging fleet accommodating a variety of load types. As a convenience, we also provide cross-docking services at our Freeburg facility which is thirty miles from Saint Louis. Sharing the road safely with the driving public comes first at Peninsula Truck Line. 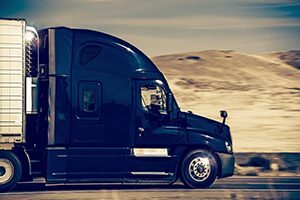 Recognized as one of the safest trucking companies, Peninsula is extremely proud of our CSA scores from the Federal Motor Carrier Safety Administration. Peninsula has established and maintains an excellent LTL Motor Carrier Safety Rating with low accident frequency and excellent safety numbers. At Suntec Transport, we challenge ourselves every day to exceed your expectations. We cover transportation services in all of the U.S., Canada and door-to-door to Mexico. Our Spanish-speaking staff is available to assist you with customs and pinpoint your international needs.